Once again I would like to thank you Linda, your quilting was superior and I couldn't have been happier with it. I really really love how it turned out. Now on to the next show, we will attempt another shot at a ribbon. 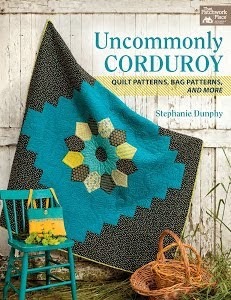 Another gorgeous quilt and beautiful quilting, really love how you match the designs to the piece. Wow! Stunning! Black sure does make everything pop. Tell me more about this clear thread. Is it a filament thread? 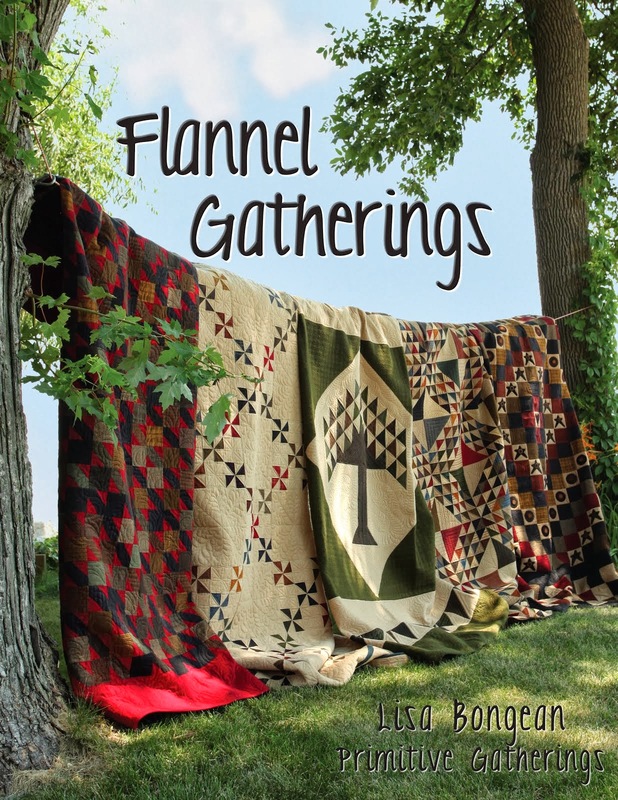 Linda, it is just incredible how you incorporate your designs into the theme of the quilt! Heather must be head over heels! Might I ask why 2 layers of batting? Another wonderful work of art! Beautiful quilting! The pebbling is wonderful and I LOVE the echo swirling. The quilt is so amazing! Brandie, the Superior Threads Monopoly is a polyester invisible thread--not nylon like most. It is very thin and doesn't get brittle like the filiment threads. They have a website with tons of information. As always your quilting is beautiful and really makes the quilt pop. Sounds as though you had a very busy weekend! Thanks for sharing the details of how you quilted Colfax County. 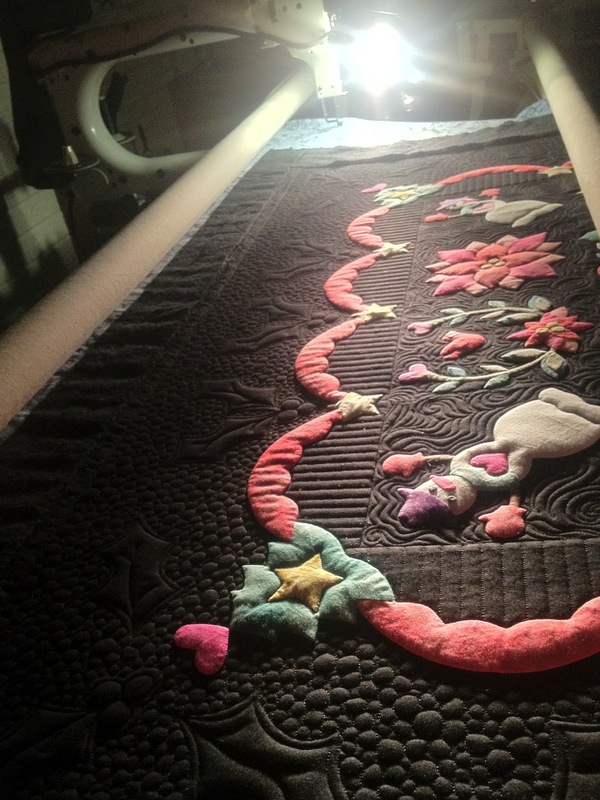 It's wonderful to hear how another quilter handles the quilting process, always something new to learn! Thanks. Very stunning! I love everything about this quilt. Awesome job. You're a fantastic longarm quilter. Yet another stellar job. You continue to amaze me with your talent! such a very cute applique pattern and another amazing job by you. Your quilting is so inspiring. Anyone aspiring to long arm machine quilt should be visiting here and soaking up your many tips. Fantastic! I love the holly leaves in the border. I'm going to keep that idea in mind for hand quilting. Linda, you did an incredible job quilting it! It's beautiful!!! Love the quilting in the border. This is such a beautiful quilt. Have not done anything in black but this get me thinking. Gorgeous and your quilting really makes the applique pop . I am surprised it did not win a prize , it sure looks like it deserves one. As always this quilt is gorgeous! Along with her wonderful applique and your quilting it is a gem! I have been transplanting hostas as well! Amazing quilting...beautiful. I know how long it takes too!!! As for watering the garden...I wish...we have had the wettest drought ever!! Although the last few days have seen some sunshine...we have all been complaining now that it is too hot!! Never satisfied! Absolutely fantastic! I have to get mine out and get it done. So happy you did well with it at HMQS. A ribbon won't be too far away. WOW! This is an amazing quilt... the quilting and the applique. And on top of that... it has just a sweet charm to it. Gorgeous. Yes, this is my business and I am in business to make money, right... but the money comes and goes. The thrill of seeing the finished project, Priceless!